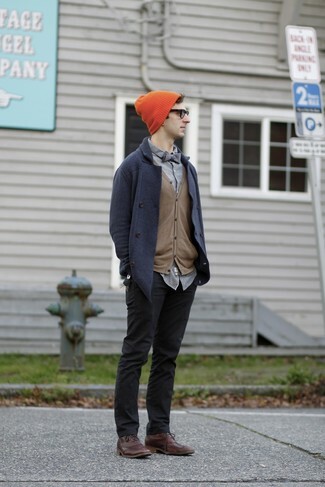 Consider teaming a navy pea coat with an adidas originals beanie in orange ay9311 for a laid-back yet fashion-forward outfit. Channel your inner Ryan Gosling and go for a pair of dark brown leather brogues to class up your look. 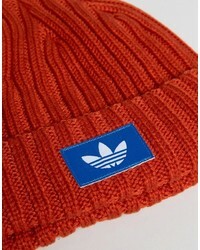 Wear a brown fur collar coat with an adidas originals beanie in orange ay9311 for a laid-back yet fashion-forward outfit. 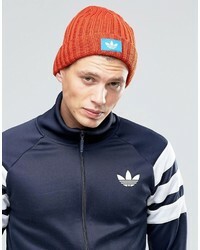 If you're a fan of practicality dressing when it comes to your personal style, you'll love this on-trend pairing of a navy bomber jacket and an adidas originals beanie in orange ay9311 from Asos. 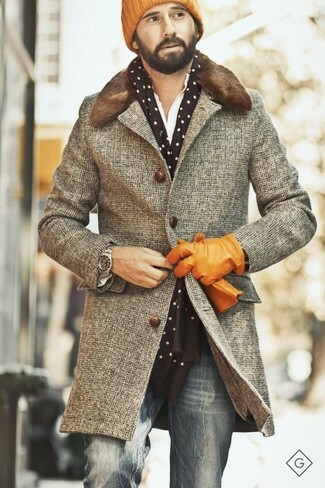 When it comes to shoes, this look is complemented nicely with grey suede athletic shoes. 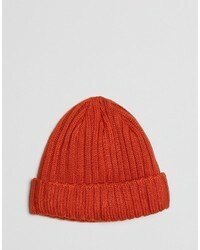 We all want comfort when it comes to dressing up, and this combination of a charcoal overcoat and an adidas originals beanie in orange ay9311 from Asos is a great example of that. Black canvas high top sneakers are an easy choice here. 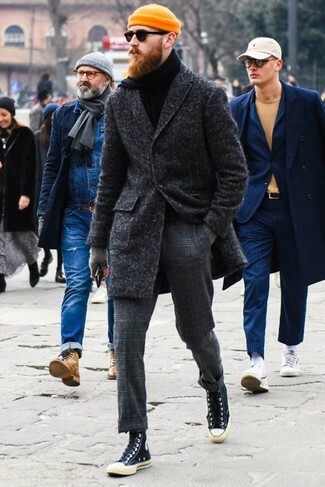 Rock a grey houndstooth overcoat with an adidas originals beanie in orange ay9311 from Asos, if you want to dress for comfort without looking like a slob. If you prefer practicality dressing when it comes to your personal style, you'll love this stylish pairing of a tobacco leather bomber jacket and an adidas originals beanie in orange ay9311 from Asos. 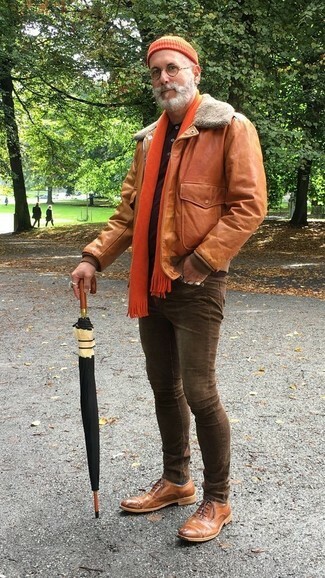 A pair of brown leather oxford shoes will add some real flair to this outfit. If you prefer comfort dressing when it comes to fashion, you'll love this simple combination of a dark brown wool blazer and an adidas originals beanie in orange ay9311. 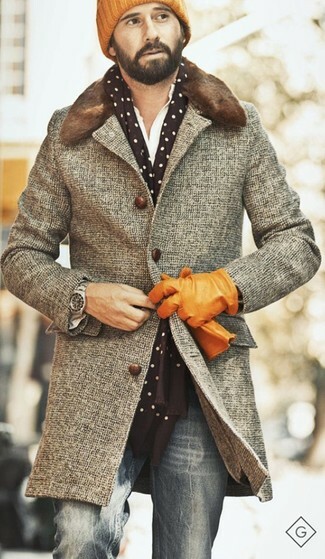 Dress up this outfit with brown leather derby shoes. 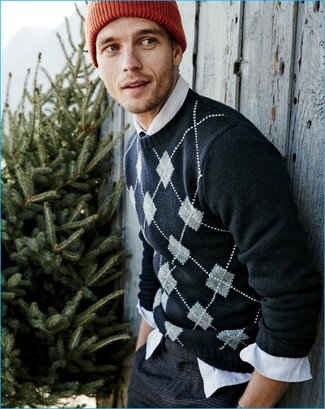 If you're all about practicality dressing when it comes to fashion, you'll love this knockout pairing of a black argyle crew-neck sweater and an orange beanie. 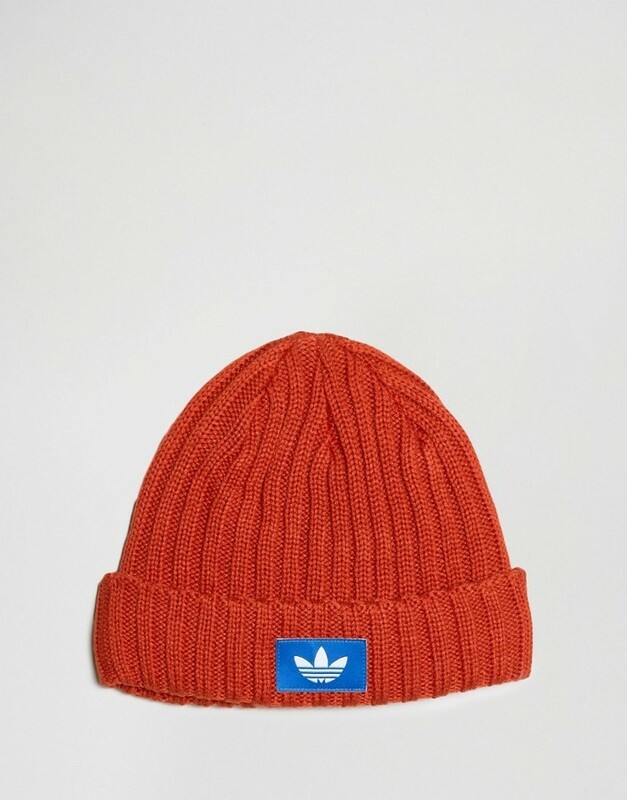 If you prefer relaxed dressing when it comes to fashion, you'll love this stylish pairing of a black overcoat and an adidas originals beanie in orange ay9311. You could perhaps get a little creative when it comes to footwear and dress up your getup with black leather slip-on sneakers.